Latest Anime Here: Upcoming Kuragehime DVD/BD to include manga spinoffs! Upcoming Kuragehime DVD/BD to include manga spinoffs! 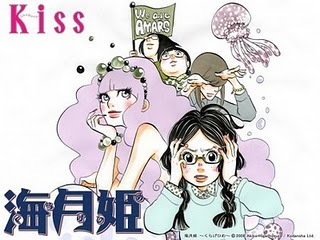 The author of this manga, Akiko Higashimura, originally drew a short running series called 'Kuragehime heroes', in Kiss Plus magazine by Kodansha, but it wasn't included in the 'tankobon' (volume book) for the Kuragehime manga we know. Yet these short mangas are going to included as a bonus in the upcoming DVD/BD for next year, to celebrate the premiere of the anime.